Tooth Avulsion is a frequently encountered dental emergency. General dental practitioners (GDPs) have the duty of managing these traumatic injuries along with evaluating the prognosis and outcome. The purpose of this study was to explore the knowledge and favored methods of GDPs concerning the management of avulsed tooth. 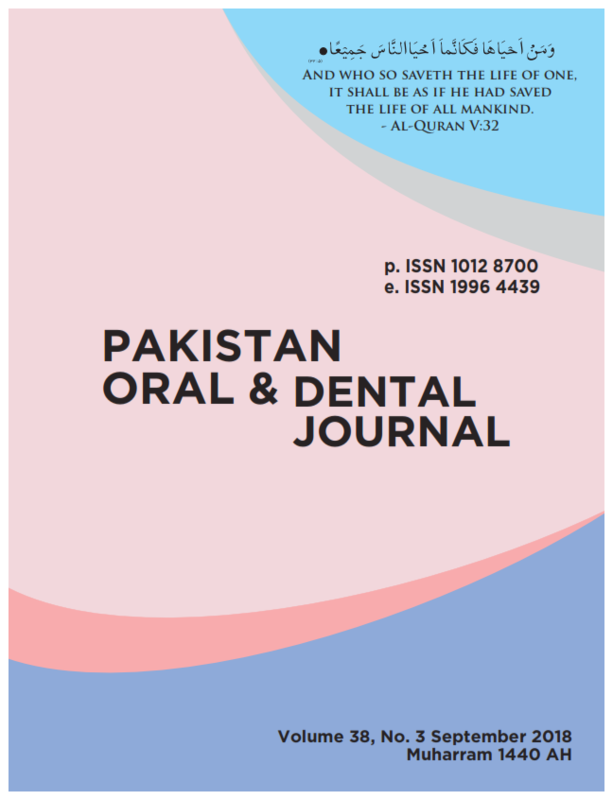 This study included 248 general dental practitioners who replied to a questionnaire covering 09 questions assessing the awareness regarding the treatment of avulsed teeth, which was circulated in various hospitals of Islamabad. Data were expressed in terms of percentages. A total of 250 questionnaires were distributed and 248 dentists responded. A vast majority (97%) of clinicians were aware that the avulsed tooth should be saved with 98% having previous knowledge of management of an avulsed tooth. Sixty two percent of clinicians were aware of the ideal transport medium for an avulsed tooth however, 72% were naive about the critical time for replantation. Sixty seven percent of the dentists had the knowledge of the multiple factors accountable for the consequences of tooth replantation. Most of the general dental practitioners are well aware and equipped with the necessary information but improvement is still needed in certain aspects for effective management of the avulsed tooth.